Looking for Home Theater Installation & Professional Home Theater Installers in Morristown, Summit, or Bernardsville? From a dedicated home theater room that will have your friends drooling to installing an HDTV on the wall, Future Home Technologies can help you design the home theater system of your dreams. As home theater installers, we have years of experience in installing home technologies and home theaters. We can get your home theater equipment at competitive prices and we do all the home theater installation. 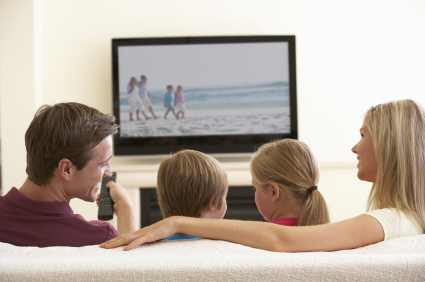 Our home theater consultants will work with you to find a solution that matches your budget and lifestyle. We focus on highly rated equipment with great value. Why go to Best Buy or one of the other big retailers? We have the same home theater brands that they do, but we come to your home, see what you actually need and make the best recommendation based on that. We also back up the home theater equipment chosen with independent reviews. Future Home Technologies can design and install a dedicated home theater system whether it is in the family room, basement or media room. We can hide all the equipment in a cabinet or closet so the entire room has a clean look. We can use in-wall speakers and other home audio accessories that are virtually hidden. Best of all, we will have all your home theater equipment running off one universal remote control. If you want a basement home theater, a projector may be the best solution. With a projector the screen can be up to 120” or more, and it is still an HDTV. Best of all, a projector is about the same price as a 75“ HDTV. Imagine watching a football game on your home theater system with the players almost life-sized! The use of a projection system brings an unparalleled level of authenticity to any home theater setup. Until recently, projectors were a relatively expensive endeavor; however, DLP technology has brought a number of high-performance, affordable, projectors to market. It is now possible to purchase a 16:9 1080p projector at price about the same as an HDTV. A favorite projector among staff, clients, and critics alike is the Epson 6030. This projector provides excellent picture quality in rooms with evenless than perfect control of ambient light. Coupled with a Da-Lite 16:9 screen, the Epson projector will provide a beautiful, cost effective, image. Future Home has all the major home theater brands including Mitsubishi, Hitachi, InFocus, Optoma, Panasonic, etc. Da-Lite is a leading manufacturer of home theater projection screens. When you consider adding a home theater projector to your basement or media room, it is very important include a good screen. A good screen is made with a lot of technology to ensure the brightest picture–the screens are coated with materials so that the maximum amount of light refracts back to the viewing area. This makes the projector look as bright as watching an LED, LCD or plasma TV. We are authorized distributors of Da-Lite and can help you pick the right size and type screen for your room. These screens can go from 92” to 133” and beyond. That is a BIG viewing area. Did you know that Da-Lite makes perforated screens that allow us to hide the speakers behind the screen? Da-Lite also makes motorized screens that can be lowered automatically as you want a TV or a movie. We just integrate the screen with the universal remote so everything works in unison. We at Future Home are big fans of home theater screens and projectors. Viewing the Superbowl with all your family and friends while watching a huge screen is amazing. Let us help you design the room and consider getting a good screen to maximize the experience. When you are looking to purchase a new TV, Future Home Technologies can sell you best-in-class TVs and provide expert installation and service. We are a local, reliable source for all of your TV and surround sound needs. Our goal is to help you buy the right equipment. With every purchase, we’ll explain why one is better than another. Then, we’ll get you the highest rated TV for the best possible price. We buy from authorized wholesalers and deliver them directly to you. Our experienced technicians are professional, clean and will treat your house like their own. We’ll also show up when we say we will. There is no “four-hour” window for scheduling, so you don’t waste time waiting around for someone to show up. We provide our customers with tremendous value. The cost of an HDTV is not just the equipment cost, it is also the cost of getting the TV hung on your wall by a home theater expert. On a typical TV, we save you money on the total installed cost of the TV. We do this by selling accessory equipment at reasonable prices and at a fair labor rate. 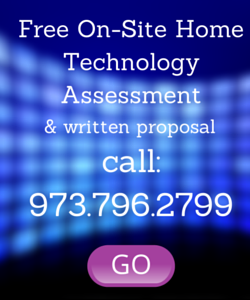 We do not charge you $100 for a 2 meter HDMI cable or $100 to do an in-home assessment. 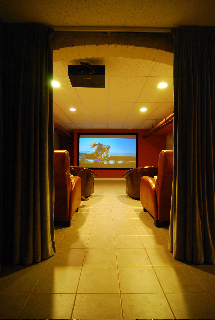 For top-notch service in home theater installation, contact us today for your free in-home estimate. Why go to anyone else? Your guys were great–TVs look awesome! Thanks! To the Future Home Team — Thank you so much for once again doing a great job for us. My family loves the new remote! Thank you for coming so quickly and being so flexible in your scheduling for us. Thanks again! Pleasure working with you. I will make sure to recommend you to others. Thanks! Thanks again for everything, the place looks great.